1. 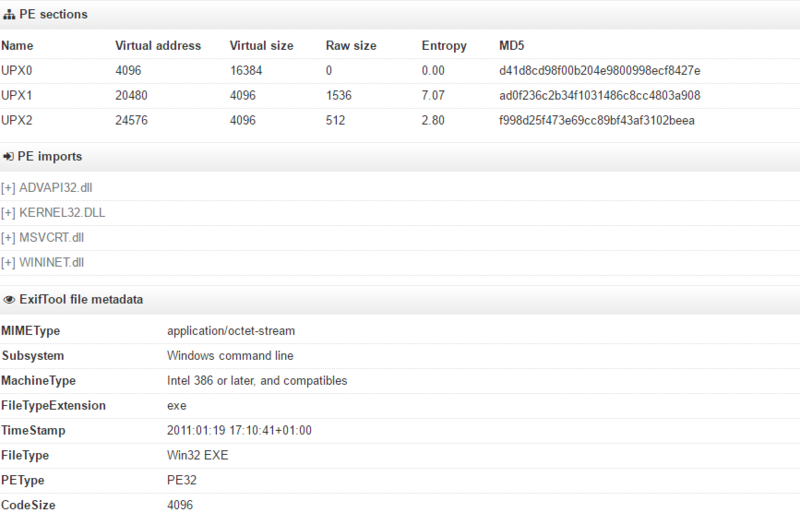 Upload the Lab01-02.exe file to http://www.VirusTotal.com/. Does it match any existing antivirus definitions? 2. 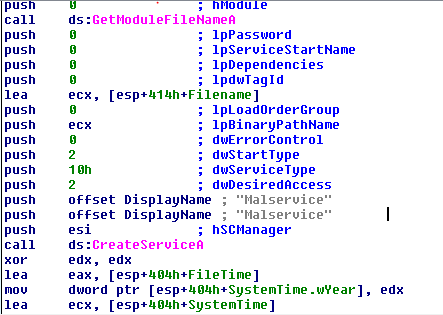 Are there any indications that this file is packed or obfuscated? If so, what are these indicators? If the file is packed, unpack it if possible. 3. Do any imports hint at this program’s functionality? If so, which imports are they and what do they tell you? 4. 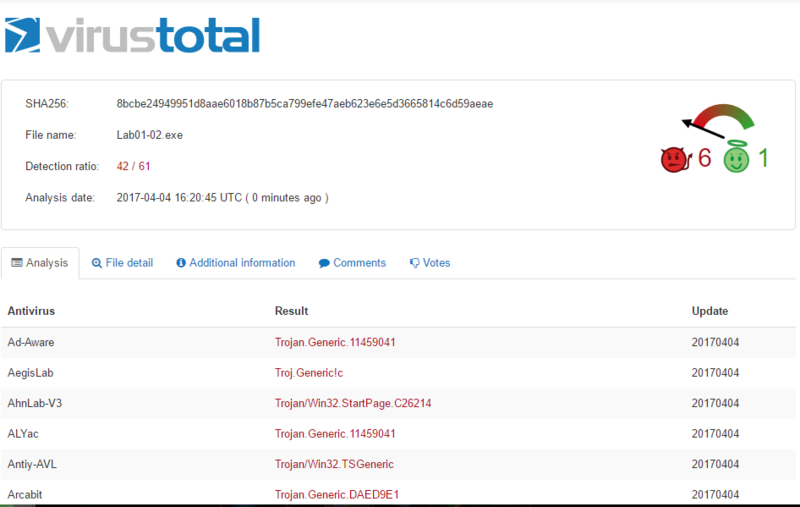 What host- or network-based indicators could be used to identify this malware on infected machines? 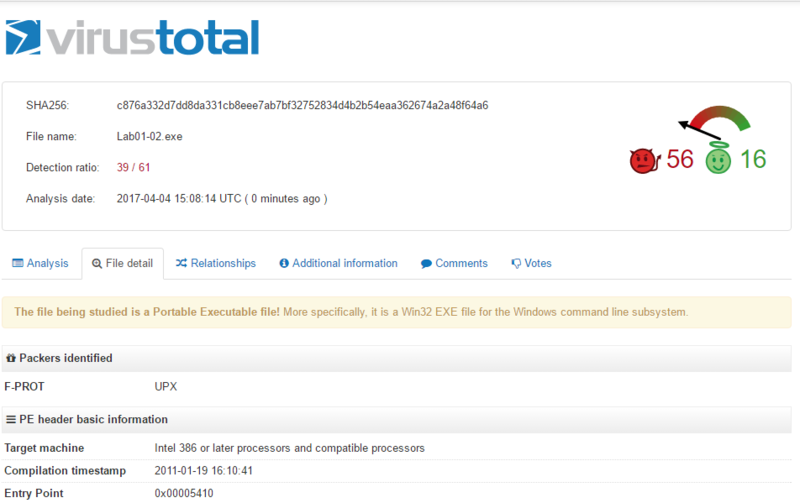 We upload file Lab01-02.exe to http://www.VirusTotal.com/ and view the report. You can view report in here. We are pretty sure that the exe is packed using UPX. Now, we will unpack using UPX command line itself. Let’s upload the unpacked binary to virus total again. InternetOpenA: Initializes an application’s use of the WinINet functions we can see what user agent is used to initiate the connection. I think that this malware is trying to install a service for persistency. It probably uses http traffic to get commands from the C&C server. 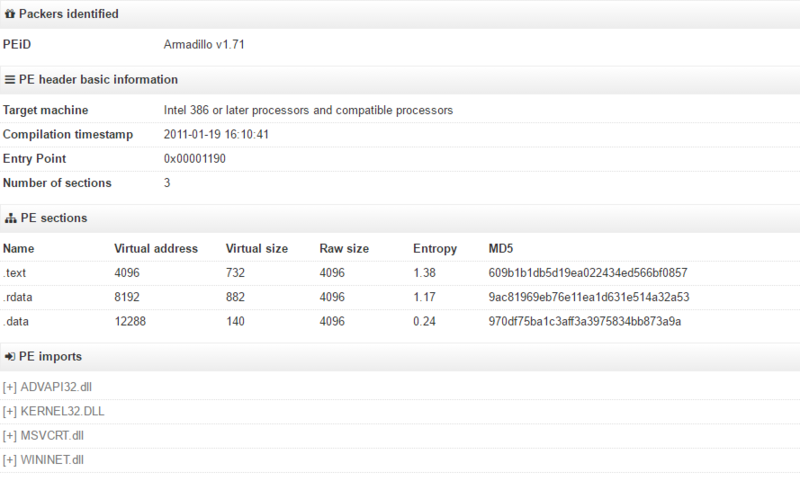 And a mutex (HGL345) on the victim machine. Are you refreshing your link again? Oh. Thanks you! I will update immediately. I’m trying to access the lab file but can’t seem to download it into a safe environment. Any help how and from where to download the file would be much appreciated. Thanks! You can download it on a virtual machine.